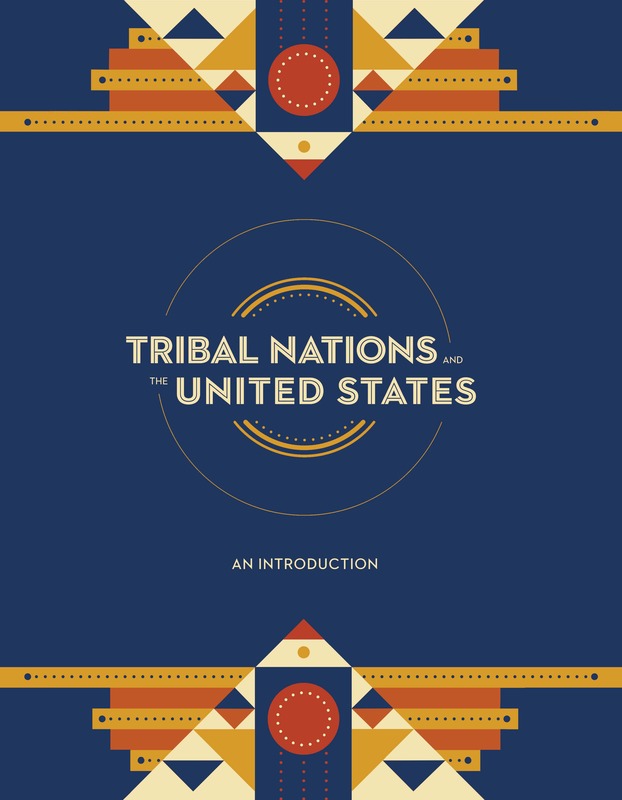 NCAI encourages our friends, relatives, and neighbors, whether Native or not, to learn about the often shameful history of the United States’ dealings with tribal nations and the issues that are important to contemporary Native peoples. We also urge anyone who wants to be an ally to Native peoples to refrain from disparaging Native identity, weaponizing tribal citizenship, mocking Native cultures and religious traditions, or invoking painful aspects of our shared history for partisan gain. Tribal governments care deeply about the health, welfare, and prosperity of their citizens. We are the survivors of attempted genocide. And while we are the first Americans, our continued invisibility is dehumanizing. Last year, the results of the largest public opinion poll ever conducted by and about Native people, Reclaiming Native Truth, found that the majority of Americans know little or nothing about us. Some people don’t even know that Native people still exist. And much of what Americans do know is rooted in the negative and distorting stereotypes perpetuated by popular culture, the media, offensive mascots, and our elected leaders. Indian Country cares about infrastructure, treaty promises, climate change, violence against women, protecting our homelands, child welfare, voting rights, healthcare, and many other pressing issues that must be addressed to ensure the welfare of our people. NCAI invites anyone who wants to stand with Native peoples to learn about and help us achieve our goals, which are driven by the values and traditional knowledge that anchors our cultures, our respect for family, and our responsibility to care for our lands and communities. Tribal nations are sovereign governments who enroll their own citizens, and while American Indians/Alaska Natives experience racist treatment and discrimination, we are not racial groups but instead are considered a political class of people under federal law. It is always okay to explore your ancestry, but ancestry does not equate with citizenship in a tribal nation. Please work directly with a tribal nation if you think you are eligible to be enrolled as a citizen and are interested in assuming the obligations of citizenship. Every tribal government determines who is a citizen of their own nation, and each nation has varying criteria for citizenship. Further, some Native people may have been separated from their tribal nation during the many harmful federal policy eras that were aimed at forced assimilation of Native people. The federal government told Native people that their languages, cultures, and religions were inferior or evil. We mourn the loss of these relatives. For this and other reasons, who is Native can be a sensitive subject within Indian Country. Before the passage of the Indian Child Welfare Act in 1978, 25-35 percent of all Native children were routinely taken from their home, and 85 percent of those removed children removed were placed outside of their communities and culture. We also mourn the loss of these relatives who have not been reunited with their Native families and communities. Importantly, many tribal nations are wary of the appropriation of Indian identity. So if you are not Native, avoid appropriating tribal cultures. For example, dressing in Native outfits on Halloween or wearing Native items while cheering for Native “themed” mascots in sports teams are harmful appropriations of Native cultures. Avoid jokes about tribal names, dwelling places, historical traumas, socio-economic conditions, blood quantum, Indian princesses, or the use of stereotypes or Native “themed” mascots. It’s not helping. In many tribal cultures, speaking with care and having good thoughts is a core traditional value. Careless use of words and thoughts harms relationships. Further, such jokes are harmful to Native children who are cultivating their Native identities within the dominant American culture. We would like to share this value with you. Despite so many wrongdoings and ongoing unjust laws, Native people now are revitalizing languages and practices while contributing to every facet of modern American life – both within Indian Country and beyond it. We are teachers, artists, lawyers, doctors, politicians, scientists, and more. We encourage and welcome respectful engagement with Indian Country, especially in helping address current challenges, including addressing the epidemic of missing and murdered Indigenous women or finally taking actions to meet treaty promises. Download Full Printable Document Here.